We are happy to announce a couple of New Loyalty Programs that will run through the year, and our designed to bring value to our regular/loyal patients. For each full treatment of Botox during 2019 club members will receive an increasing discount on their next treatment. Brilliant Distinction points can be used in addition to above. Those that complete 4 Botox treatments during 2019 will be entered to win a complimentary Botox treatment in 2020. How do I get entered? Spend a minimum of $4,999 on any products or services in this calendar year to be entered. Refer 9 people for product or service in the calendar year and also be entered in the drawing. 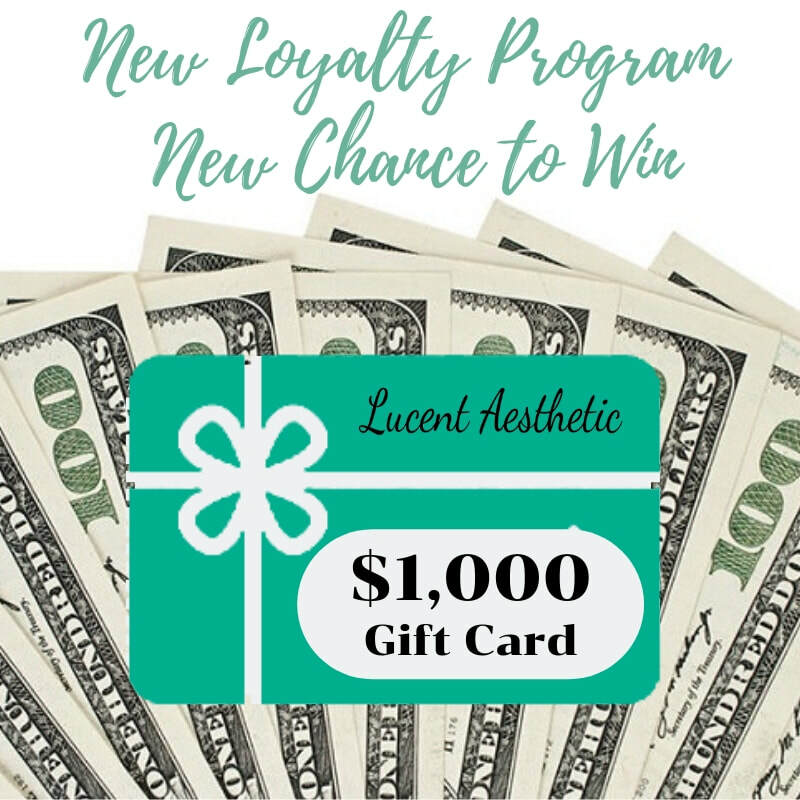 *Drawing for $1,000 gift card to Lucent Aesthetic will be in the beginning of 2020. During February at Lucent Aesthetic we will have our Valentine's Tree with special hearts hung featuring different gifts. To qualify you must spend $499 or more at a single visit, from there simply choose a heart from our Valentine Tree and receive your free gift. *Hurry in as our hearts are in limited supply!! Our IPL photorejuvenation treatments are a non–invasive alternative for instantly brightening the skin while addressing a variety of skin conditions on the chest, face, hands and neck. 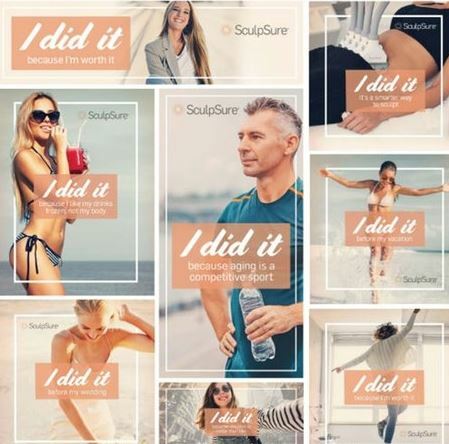 It's a New Year, It's Time to Sculp a New You! Don't miss this great opportunity to save! Enjoy 10% off of a treatment package on one area. Enjoy 15% off of a treatment package on two areas. 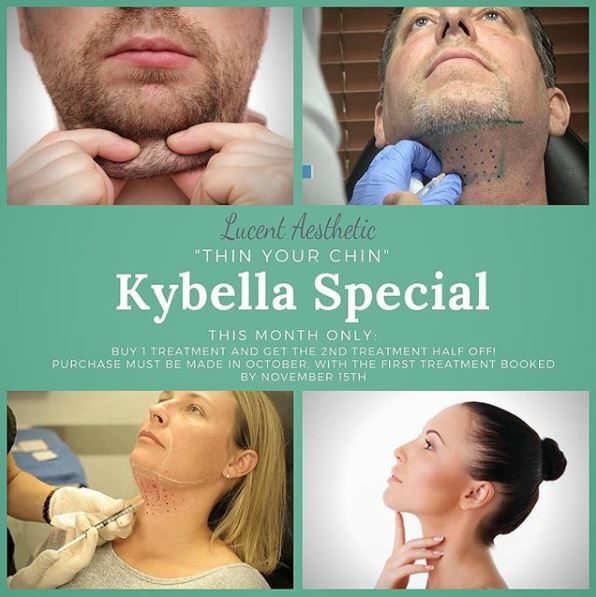 For December only we are offering a Botox & Filler special when combined. ​If you couple the treatments together you can receive up to $150 off. It is the season of giving. That said, we are passing along more specials. 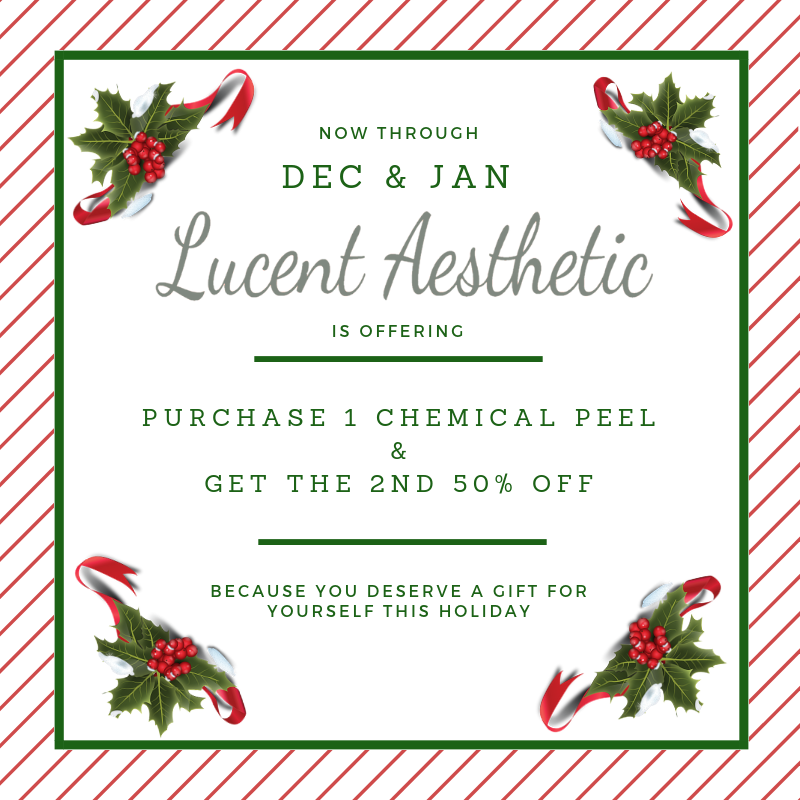 From now through the rest of Dec. & Jan. we are offering a deal on chemical peels. If you purchase 1 chemical peel, you get the 2nd 50% off. Because you deserve a gift too this holiday season. treat yourself and your skin. Let's Get Together to Celebrate, & Spread Some Holiday Cheer. 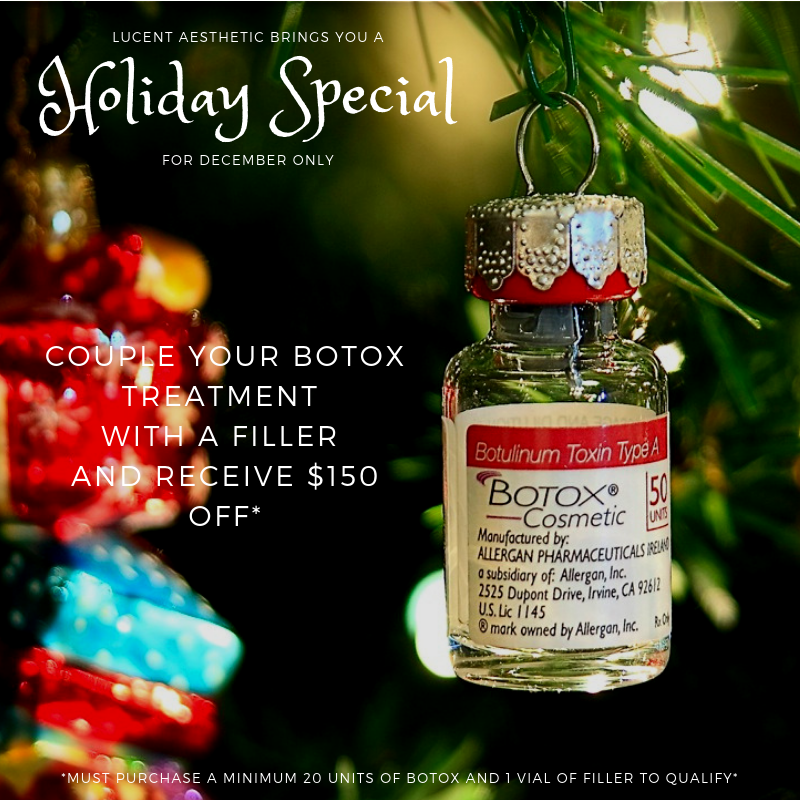 ​All attendees receive a one time special $50 in Lucent Loot for use toward a Microneedling Treatment in December or January! Now is the time to try this amazing procedure! First attendees receive a generous goodie bag, while supplies last. We will have a Raffle, which will include Botox, Filler, and other prizes,worth over $2500! Bring a friend who's new to us and you receive an extra raffle ticket! New products just for The Holidays, wrapped and ready to give! Purchases qualify you for an additional holiday special surprise! We will also have Skincare Representatives here to share their expertise. Please RSVP via this button, and feel free to bring a friend or two, we'd love to meet them! We are launching new service this month with an introductory educational event on 11/14/2018. Lucent Aesthetic will be offering several new procedures using Sculptra Injectable, which lasts up to 4 years! Sculptra can be used for Neck/Chest, Hand Treatments, and Booty Lift. Cellulite Reduction, Smoothing & Volumizing results in you looking years younger with fuller, tighter skin over these areas. This is a Happy Hour style event with drinks and snacks. ​We will show some before and after pictures of these procedures, answer questions, do mini-consultations and offer special introductory event only pricing. RSVP is needed as space is limited. 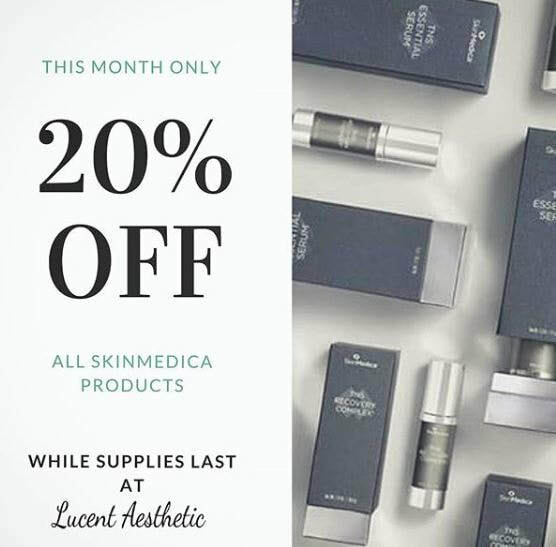 This month we are pleased to announce special pricing on all SkinMedica products. Come on by and take advantage of 20% off while supplies last. We are running this special all month long. 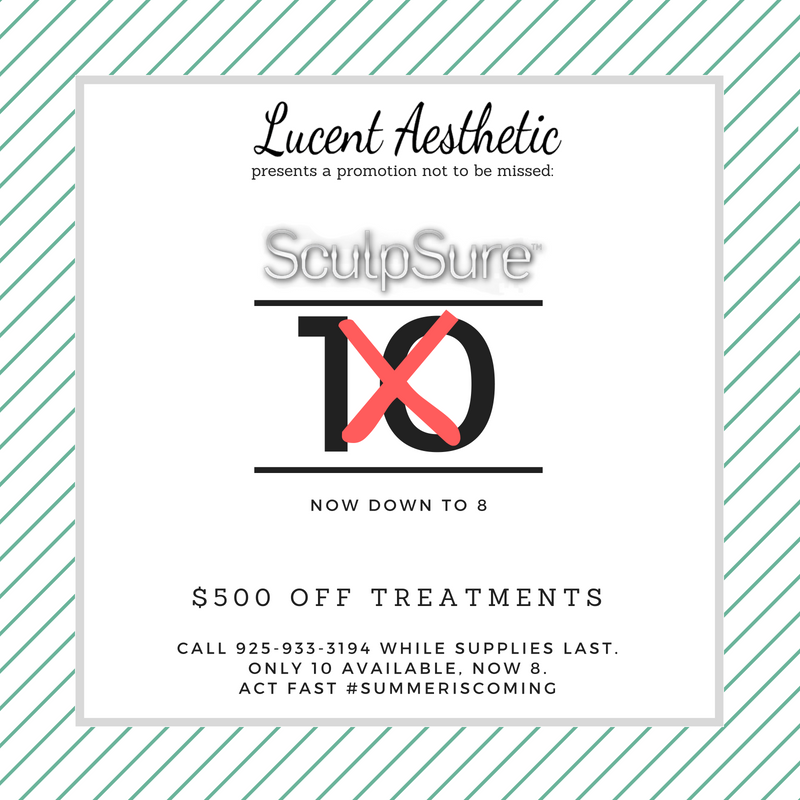 Call to inquire about how you can save $300 off your SculpSure package. Save some cash, and melt some fat, there is a win-win. This is certainly one to save the date for. We are happy to team up with some of the experts from Onmi Bioceutical Innovations, Innovative Wellness Inc, our very own Lucent Aesthetic team, as well as some of the best personal trainers in the area to bring you an event not to be missed. On September 28th from 6-8pm we will be hosting our Bottoms Up event at Renaissance ClubSport in Walnut Creek. We will be serving refreshments and appetizers as well as offering free valet parking to those in attendance. The focus of this event will be to educate and bring you the latest information to enhance your sexual function, restore your skin's glow, and optimize cellular health in general. We will be discussing the newest ground breaking technologies and scientific breakthroughts that have proven to enhance cellular health for men and women. Give us a call at 925-933-3194 to inquire about more infomation and be sure to RSVP and let us know you are coming as space is limited and this one is sure to pack in. We did this event back in July, and based on it's great success and demand for more we have decided to do it again. 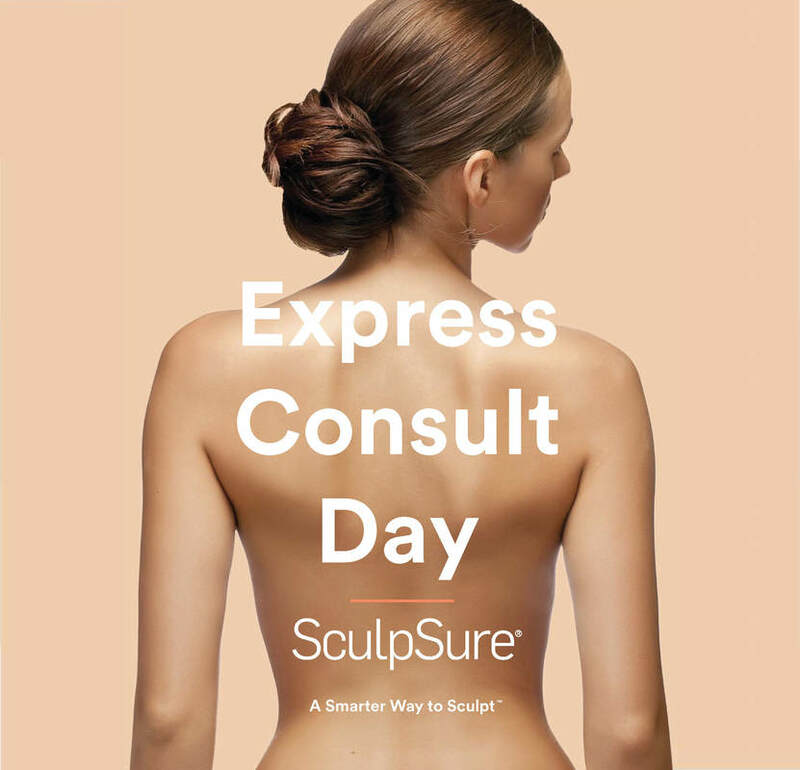 SculpSure is a body sculpting technology that is the top technology used for body contouring for many different reasons which we will go over during this event. This technology is for men and women, and is the easiest way on the market to non-invasively, with no surgical downtime see incredible results and your unwanted fat melt away. We are offering Free Express Consultations and special prices on body contouring packages only offered to those in attendance. Additionally, there will be refreshments, appetizers, and more. Call now to reserve your spot as space will again be very limited. 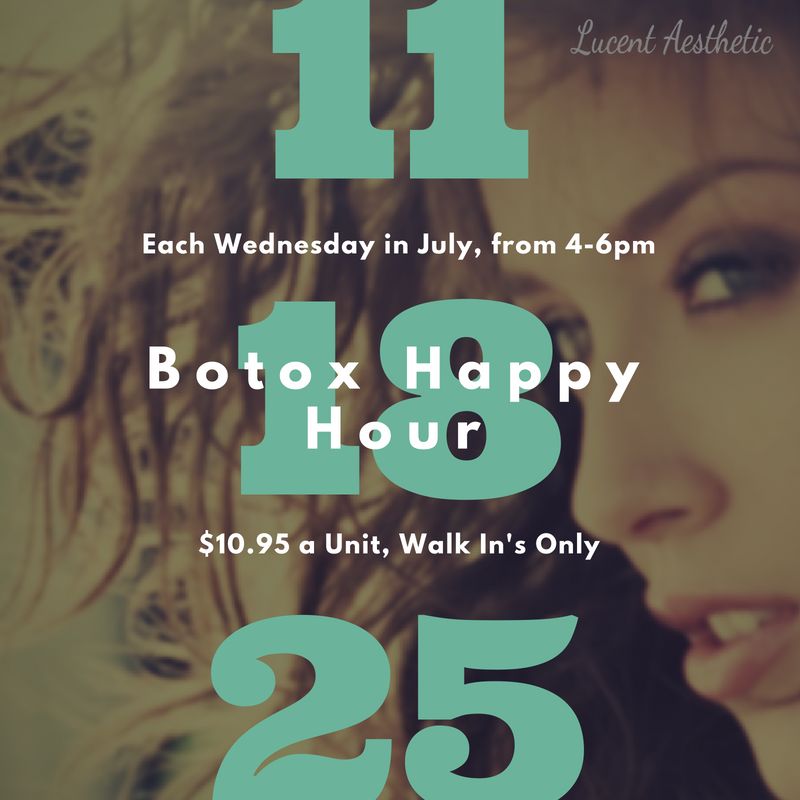 Throughout July we will be offering a Botox Happy Hour on Wednesdays from 4 - 6pm. Between those hours you will receive Botox treatments for $10.95 a unit, as well as summer sips while you wait. No appointments needed as this is only available on a drop in basis between the designated time. Join Us July 25th for a SculpSure Event. We are offering Free Express Consultations and special prices on body contouring packages only offered to those in attendance. Additionally, there will be refreshments, appetizers, and more. Call now to reserve your spot as space is very limited. It's 2018 and we think anybody can get any treatment. With that said we are running a special for not only just Father's Day, but all of June. 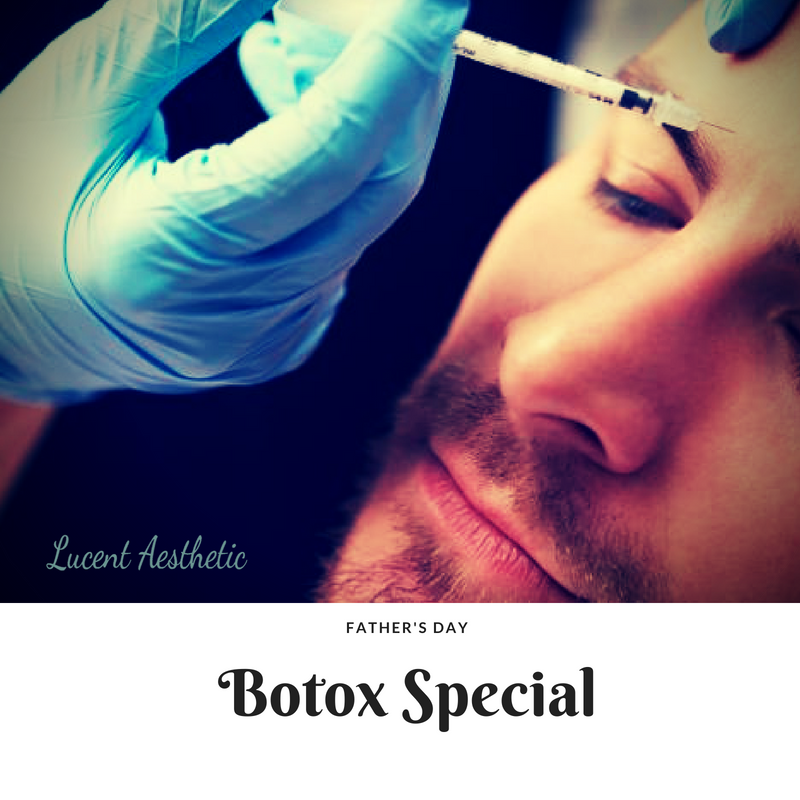 Bring Dad(any dad) in for a Botox treatment and you and him each receive 10 units complimentary. Help him look his best. We are happy to pass some savings onto those who wish to take care of themselves. Sculpsure is a fantastic way to get rid the unwanted fat you may be holding onto. This treatment is a cutting edge way to non invasively give you the body you have been longing for. Call today to inquire about how you can save $500 off the traditional treatments cost. Started this 2 days ago with a 10 client maximum and we are now down to only 8 left, so act now while supplies last. 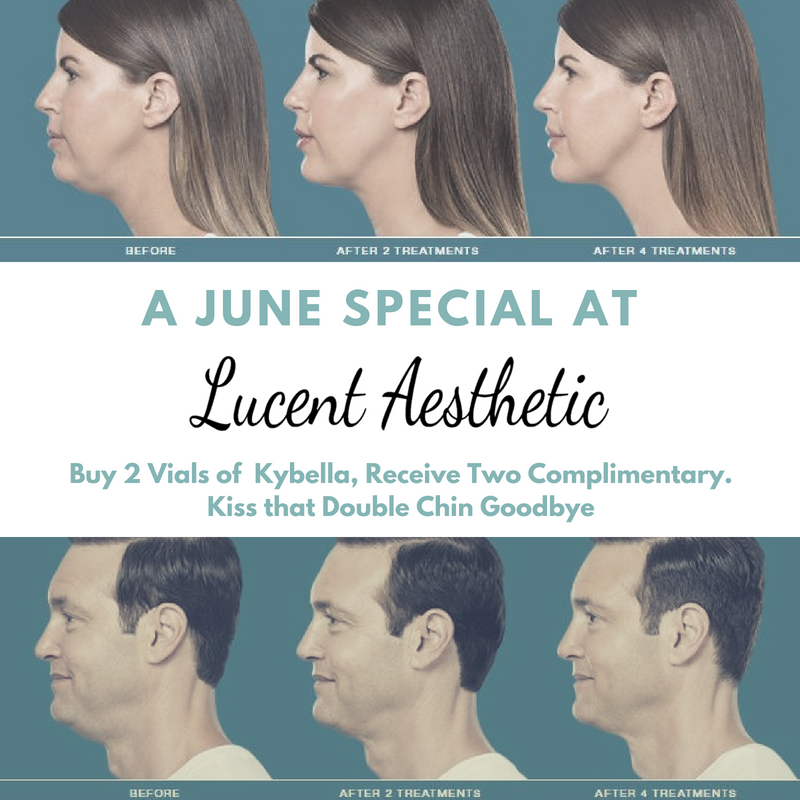 Call to inquire about the details, but it's pretty simple, book a Kybella treatment and when you purchase 2 vials you recieve 2 more complimentary. Kiss that double chin goodbye. Not sure what to get Mom for Mother's Day? We are offering a Botox Promotion for you and your Mom. Can't bring mom? Bring a friend who is a mom, that counts too. We are doing a few live procedures with Allergen products in office on April 12th, 2018. More coming in July.